Simplicity Linux 16.07 CD (32-Bit) | Linux DVD Shop - UK Linux Shop supplying Linux on CD, DVD and USB with Free UK Delivery, 24Hr Dispatch. 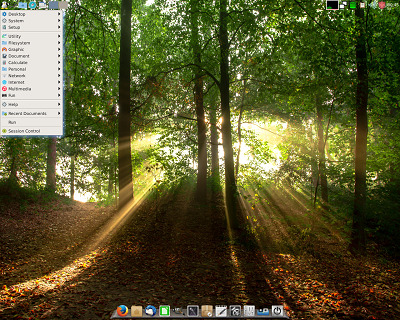 Simplicity Linux is an LXDE desktop based Linux OS aimed for use on older PCs and machines. Perfect for newbies to Linux as this distro is built with "Simplicity" at heart. Simplicity includes Firefox, LibreOffice, Skype, WINE and Dropbox by default with access to thousands of extra software packages with the simple package manager. Flash and Java are installed by default within Simplicity Linux and therefore you will be able to watch Youtube videos and play games online easily with MP3 support. This fast distro will run full speed even in "Live" mode when running from the CD and memory and has the option of a full install via the CD also. The OS uses very low resources so is perfect for use on older computers.